An adorable video showing a standoff between a red panda and a rock has gone viral. 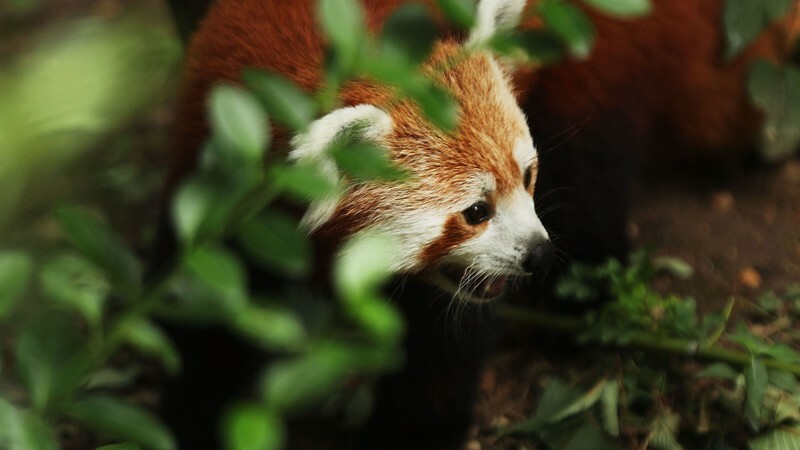 The tweeted video shows a red panda exiting a hole in a wall and prancing toward a large rock before becoming startled. The panda quickly backs away from the rock, stands on its hind legs and throws its front paws up in the air, seemingly attempting to intimidate the rock. The panda falls forward, slapping the rock with its paws, before sniffing the rock and running off, back into the hole in the wall. Though little detail is provided in the tweet or video, the caption includes “#HimejiCentralPark”, seemingly indicating that the event was filmed in Himeji Central Park, a safari park in Himeji, Japan. No, we don't know what's going on here either. There's speculation that there's an insect on the rock, but we're find just enjoying it for what it is. 0 Response to "Video: Red panda adorably fights rock"